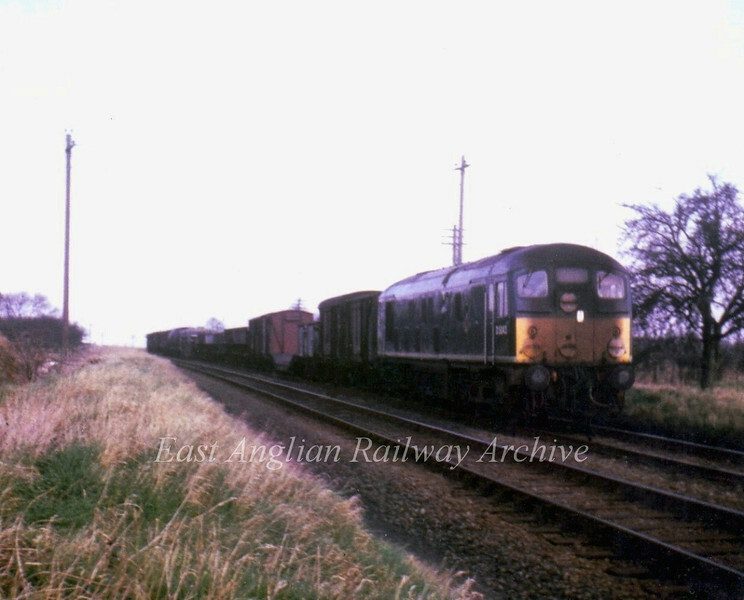 Class 24 D5043 in Brunswick Green livery, heads a freight near Wimblington on 4th March 1967. These were my favourite locos at the time. They made a refreshing change from the ubiquitous class 31's. Photo with kind permission of Stewart Ingram.